Self-esteem had never been a problem for big guy Anthony Nieves, 37—he matched it with a big personality. He topped 300 pounds by the end of high school, but never lacked friends or confidence. Still, a diet of late night Chinese takeout, soda, and juice took its toll. Anthony’s weight made breathing difficult. His blood pressure was high, and his bloodwork erratic. 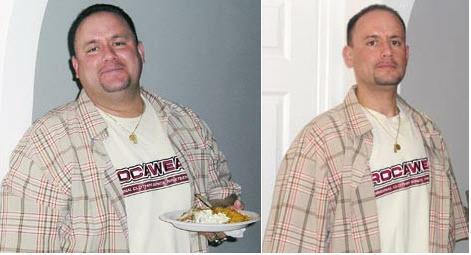 For Anthony, drastic weight loss called for drastic changes. 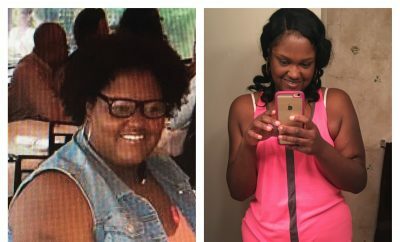 In April 2010, he cleared out his entire fridge, freezer, and pantry and bought healthier versions of the foods that were previously there. He looked for foods that were higher in fiber and lower in calories, such as beans and veggies. However, his biggest change was eliminating excess salt. He threw out his salt shaker, replaced his salty spices, and chose sodium-free canned foods. “I think that I dropped my first 70 to 80 pounds just by watching my sodium intake,” he says. During the first month of his life makeover, Anthony didn’t exercise, but slowly he started walking on a treadmill for 30 minutes. “I didn’t feel comfortable taking a trot around the block and wanted to stay indoors. But this was my project,” he says. Now he jogs for over an hour four to five times a week. Anthony set the goal of dropping 100 pounds by December 24—8 months after his start date. “It was going to be my Christmas gift to myself,” says Anthony. By November he was down 95 pounds, and by Christmas he had lost 105 pounds.